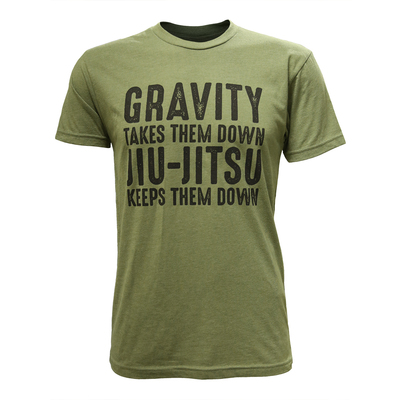 AV Jiu-Jitsu State of Mind Tee has been added successfully to your wishlist. Garment Details: 60/40 cotton, polyester ultra lightweight dual blend with large front and back print with small print on right sleeve. AV Gravity Tee View Sale!